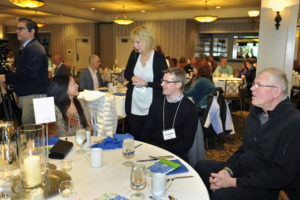 The Presenting Sponsor of the luncheon is Festival Foods. 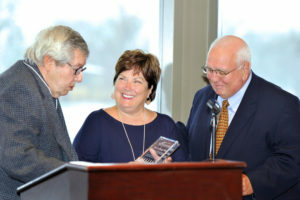 Retired Superintendent of Schools Richard Swantz presented the Margaret Dihlmann-Malzer Distinguished Service Award to Judy and Tom Sleik. 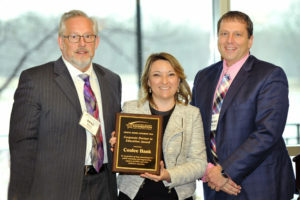 Coulee Bank CEO Brad Sturm, left, and the bank’s La Crosse Market President Mike Gargaro, with the Corporate Partner in Education Award presented by LPEF Board President Angela Strangman. 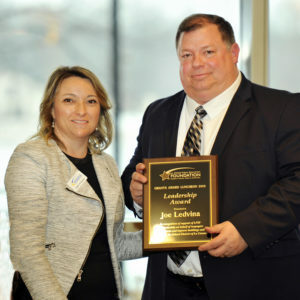 LPEF Board President Angela Strangman presents the Leadership Award to Joe Ledvina. 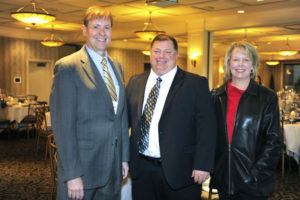 Superintendent of Schools Randy Nelson, with Judy and Tom Sleik, and Festival Foods Chairman Dave Skogen. 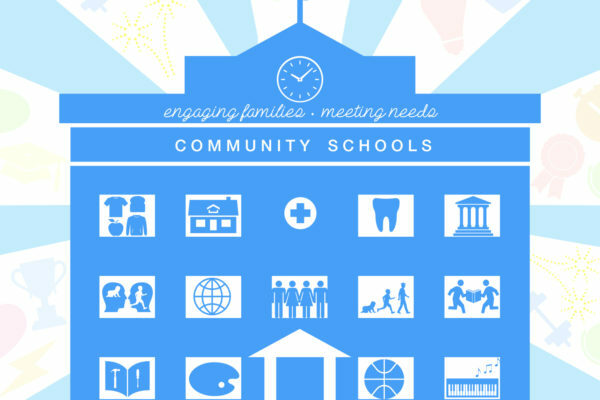 Festival Foods is the presenting sponsor of the Grants Award Luncheon. 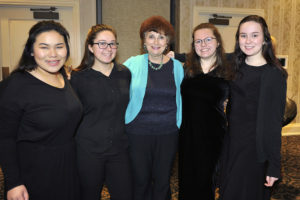 Music was provided by a Central High String Quartet coached by Busya Lugovier (center). 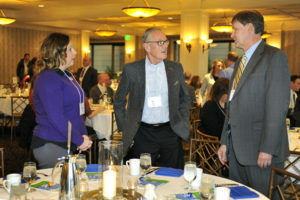 Enjoying pre-event festivities: seated (from left) LPEF Board Member Anna Prinsen, Brandon Prinsen and Bob Christopherson. Anna is talking with Logan High teacher Andrea Kramer. 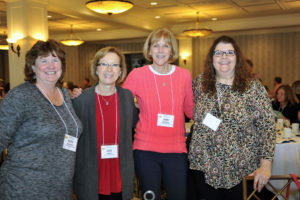 From left: Lincoln Middle teacher Ruth Baardseth, with Spence teachers Deb White and Dori Bertilson, and District Nutrition Director Lyn Halvorson. 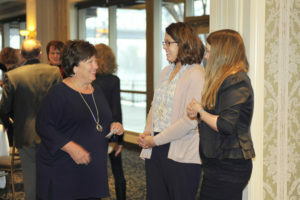 Judy Sleik, who served six years on the LPEF Board, chats with board members Cari Mathwig Ramseier and Bethany Nugent. 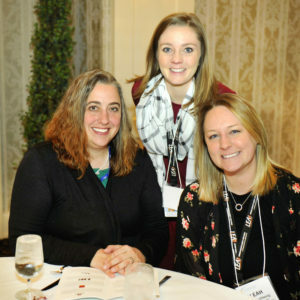 Teachers Dani Hartman, left, with Megan Meyer and Leah Braunschweig, right. 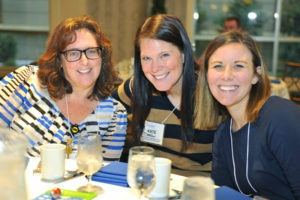 Teachers Julie Welch, left, with Kate Hooper, center and Heidi Schleicher. Retired teachers Valerie Glotfelty, left, and Kevin Baird, center, with Nick Ragner from The Salvation Army. 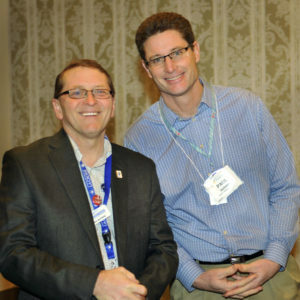 Brad Quarberg, a member of the Board of Education and an ex-officio member of the LPEF Board, with Paul Holman from Spence Elementary. 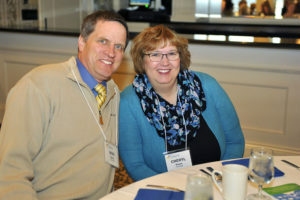 Xcel Energy’s Mike Herro and his wife, Cheryl. 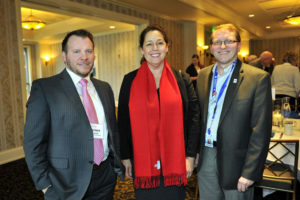 Festival Foods Stacy Pierce and Dave Skogen, with LPEF Executive Director David Stoeffler. 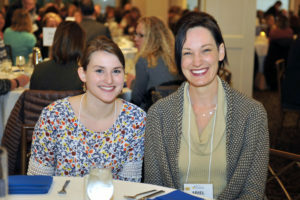 Deb Hoepfner and Debi McKenney from Wells Fargo Bank. 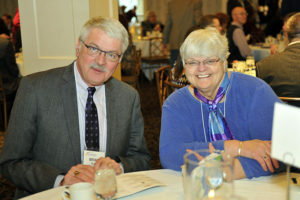 Brian Rude and Mary Lund from Dairyland Power Cooperative. 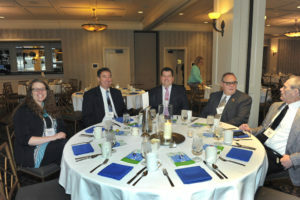 Amanda Wolfgram from North Woods Elementary School, left, with Mark Przywojski, Doug Zumach, Keith Buswell and Mike Gates from Festival Foods. 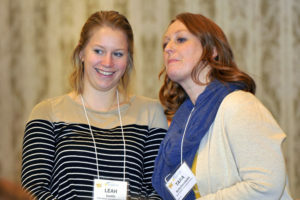 Sara Krueger with UW-L Associate Professor Ariel Beaujot. 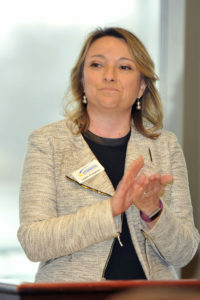 LPEF Board President Angela Strangman welcomed the crowd. 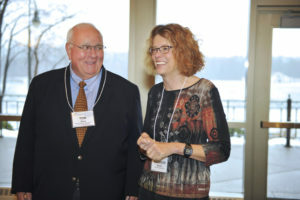 Attorney Emeritus Tom Sleik from the firm of Hale, Skemp, Hanson, Skemp & Sleik, enjoys a pre-event conversation with Attorney Maureen Kinney from Johns, Flaherty & Collins. 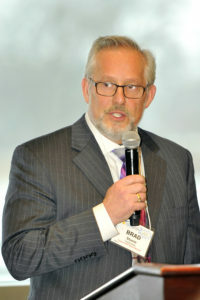 Lisa Klein from News 8 WKBT served as MC. 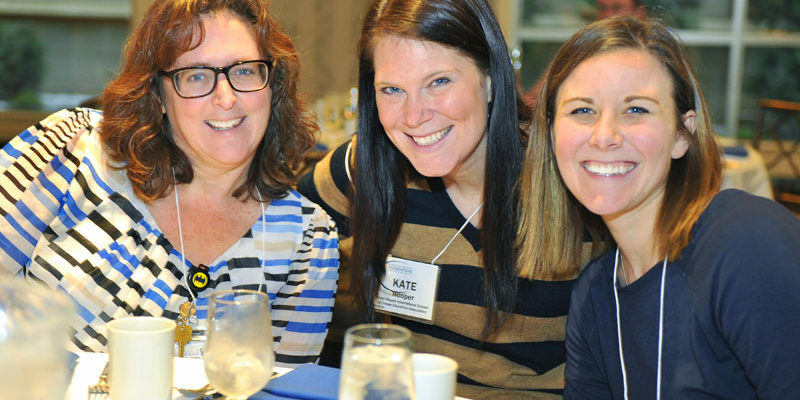 Teachers Leah Justin and Tara Schuttenhelm. 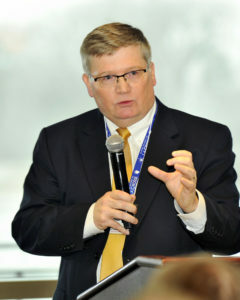 Coulee Bank CEO Brad Sturm talks about his bank’s long involvement with LPEF and on the growth of the Foundation since its inception 29 years ago. 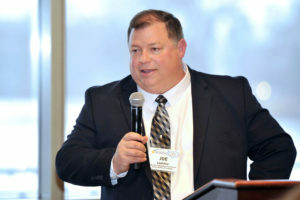 Joe Ledvina, supervisor of buildings and grounds for the School District of La Crosse, accepts the Leadership Award and reflects on the great work of district staff he sees when he visits any building. 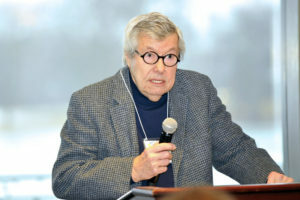 Retired Superintendent of Schools Richard Swantz, now an honorary member of the LPEF Board, talks about the founding of LPEF and the role played by Tom Sleik in the origins of the Foundation. 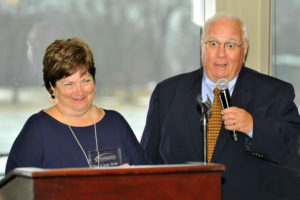 Judy and Tom Sleik enjoyed a few laughs with the crowd in accepting the Margaret Dihlmann-Malzer Distinguished Service Award. 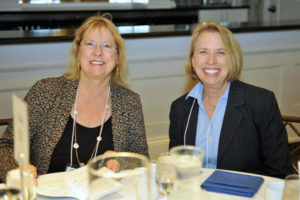 Liz Arnold from Gundersen Global Partners with Sandy Brekke from Gundersen’s Population Health Department. 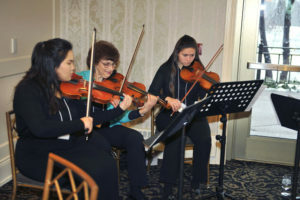 Busya Lugovier, center, coaches the Central High String Quartet who peformed at the event. 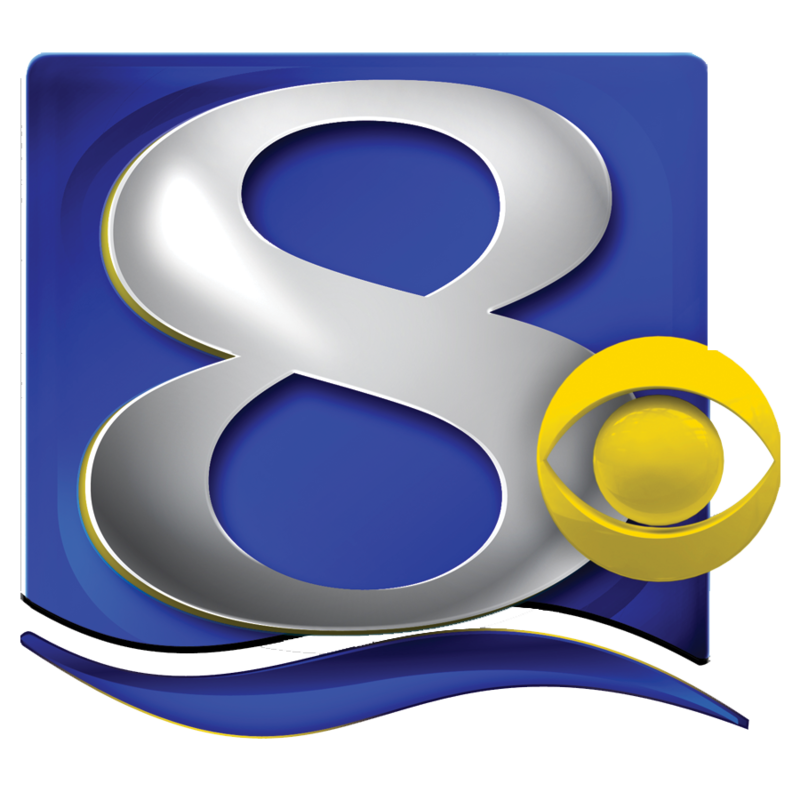 Quartet members include Chia Mee Yang, Charlotte Linebarger, Avery Laffey and Sarah Cox. 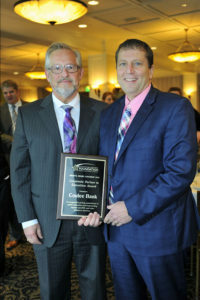 Coulee Bank CEO Brad Sturm with the bank’s La Crosse Market President Mike Gargaro. 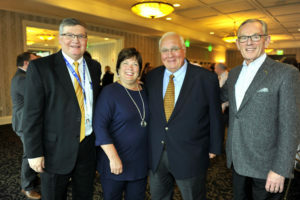 Dave Skogen (center), chairman of Festival Foods, congratulates Judy and Tom Sleik for winning the Distinguished Service Award. 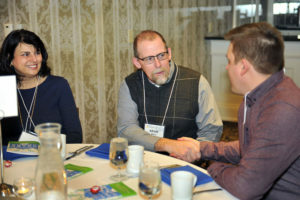 Nathan Franklin from Dairyland Power Cooperative, left, with state Rep. Jill Billings and Board of Education Member Brad Quarberg. 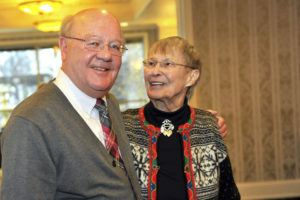 John Monson with Carol Taebel, who supports LPEF through family funds at the La Crosse Community Foundation. 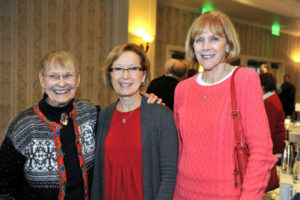 Former LPEF Board President Rachel Gundersen, left, with Deb White and Dori Bertilson from Spence Elementary School. 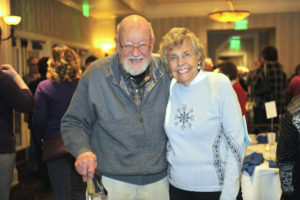 Former Mayor John Medinger with former LPEF Board President Rachel Gundersen. 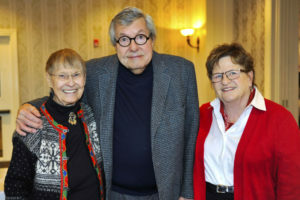 Rachel Gundersen with Richard and Judy Swantz. 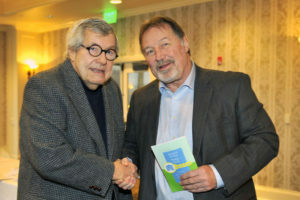 Richard Swantz with retired Logan High Associate Principal Doug Leclair. 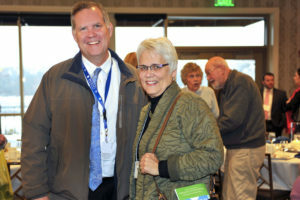 Mark White, director of human resources for the School District of La Crosse, with retired associate superintendent Kathie Tyser, who is now a member of the LPEF Board. 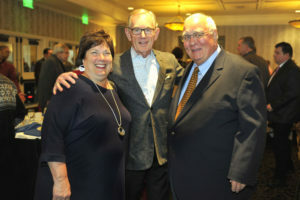 LPEF Executive Director David Stoeffler with Leadership Award winner Joe Ledvina and his wife Nancy. 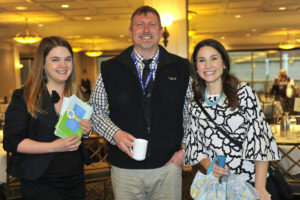 Bethany Nugent, a teacher at Hamilton/SOTA I and also member of the LPEF Board, with Hamilton Principal Steve Michaels and News 8’s Lisa Klein, whose children have attended SOTA I.